When you ask someone what their favorite subject is in school, rarely would you hear them say math. Some would mention their love for art, history, and science but not for numbers. People have come to believe that math is just not for them and have used this to brand themselves. They often wonder and argue how concepts in calculus and geometry would affect their everyday lives. For most, there seems to be no sense in knowing the answer to a problem that has no direct connection to their lives. However, it is worth noting that math is a puzzle. It tests people’s ability in identifying the connections between things and seeing the strings that bind them. Getting better at math may be a struggle at first but there surely are techniques and strategies in studying numbers. 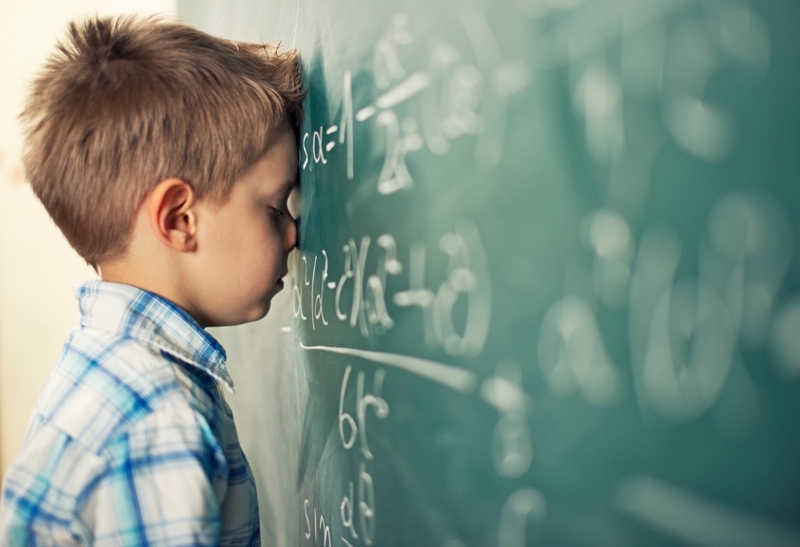 Here are our 11 study strategies that can solve your question of how to get better at math. First and foremost, it’s difficult to go through different levels in math if you’re still confused with the basics. Math has a language of its own. Just like in reading and writing where it’s difficult to write an article if you’re not familiar with the rules on syntax and grammar, you also have to know the general rules for you to progress to the next level. As you go along, the topic is building up from the last and becomes more difficult so it is better to master the basics for better context on the following topics. Whenever the question of how to get better at math is raised, most people would think that it all comes down to mastering the formulas. But this is a huge misconception. Students would often spend countless hours memorizing formulas or the definitions of concepts. Such effort crumbles when exam time comes, as those students tend to miss an element in the formula or forget everything altogether. They focused on mastering the surface-level aspect of the formulas/concepts without understanding how and when these formulas work. When you fully understand how the formulas/ concepts work, you’ll be able to apply the logic on whatever problem or situation. It may take a little more efforts but it surely does not go to waste and may prove wise in the long run. When preparing for an exam, students usually study or cram the nights before the examination day. Often studying at night, they deal with a math problem and get frustrated when they can’t figure out their way around it. As such, they become more pressured and their mind just stops working. This is a common mistake. People usually force themselves to study at the end of the day, when their mind is tired and all their energies were used up during the day. One better way to study math is to do it in the morning, when the mind is fresh and ready to absorb and think clearly. Another way would be to review and study the concepts while they’re still fresh. After a concept has been discussed, check if you’ve understood everything about it already. Don’t hesitate to delve into details again once you feel needed. This is better than letting time pass and going back only to see that there are still gaps that you need to close. If you think that the answer to how to get better at math is just about studying your notes and understanding the concepts, think again. Students that are good at math will definitely tell you that it is also about asking questions and making sure that you’ve clarified everything that you’re confused about. This works best during a discussion. When you realize that there’s a concept that is entirely not clear to you, address it immediately and ask questions. This not only makes you understand the concept but also develops your critical thinking skills. The most effective questions start with Why and How. Use them often as they bring insight into the underlying logic of concepts. When studying for math, it is helpful to find someone who can study with you. Having a friend to work with you allows you to throw ideas at one another and discuss how you solved a particular math problem. You can also teach each other personal strategies that made you understand particular math concepts. When you have someone to converse with about tricky math problems, you get to understand the concepts more thoroughly. You can also organize a study group and work together. This makes tackling math problems easier and more fun. They say that if you can’t explain something to a five-year-old, then you don’t really understand it. This also holds true for math. If you’re confused with the concepts, you should definitely try explaining them to someone. This may seem a little ironic but it works. Like in almost any topic, when you want to explain something, you try to find the simplest words that fully capture your idea. You’ll soon discover that, in this process, your understanding of the concept is improved. Solving math problems require logic and the ability to find the connections between things. If you can’t do it in numbers, draw it. Find out how all the pieces work together using shapes and forms. Humans crave visual and bite-sized information. History even suggests that people started documenting happenings and sharing stories by drawing on cave walls. Being able to translate the connections between numbers into graphical representations helps improve your thought process and understanding of math concepts. In order for you to remember the key ideas, rewrite them all in little note cards. Rewriting not only equips you with an aggregated list but also makes you remember them. Note cards are very portable and you can browse through them while you’re on the go or when you have idle time. This may seem a little trivial, but it really is essential to make your solutions neat and organized. As you solve math problems, it is inevitable to make mistakes and have to rewrite or redo your solutions. When you simply scratch out your solutions, your paper will be messy and you will only get more confused when you try to go back and review your solutions. Some teachers give partial credit just for the clear step-by-step way of how you approached the problem. It’s the thought process that matters and keeping your solutions line by line gives your teacher a clear impression of how you thought about the problem. If you want to know how to get better at math, remember that it always takes more than just understanding what was discussed in the four walls of the classroom. There is more value added when you go out of your way and try working on additional exercises. There are a lot of resource materials out there – all you have to do is find them. You can look on the Internet or borrow books from the library or consult your teachers to give you additional exercises. Remember, it’s the amount of efforts that counts. It may be a little bit time-consuming for now but effort pays in the long run. Like doing additional exercises, the key to getting better at math is practicing. Practice when you don’t understand something; practice when you do understand something. Practice when you’re bored; practice when you’re in the mood for a challenge. Sooner or later, you’ll get the hang of it and before you know it, you’ve already solved and gone through every possible math problem. Learning how to get better at math takes time, effort, and motivation. It may take some time at the beginning but the results are rewarding when you realize that you’ve improved and have learned a lot.